There’s a lot to say about a place like Con’s, pictured here in the midst of a small row of anonymous shops on a street you’ve never heard of, in a suburb cherished by few. It’s not Con’s anymore – it hasn’t been for many years – but that’s the identity that stuck. 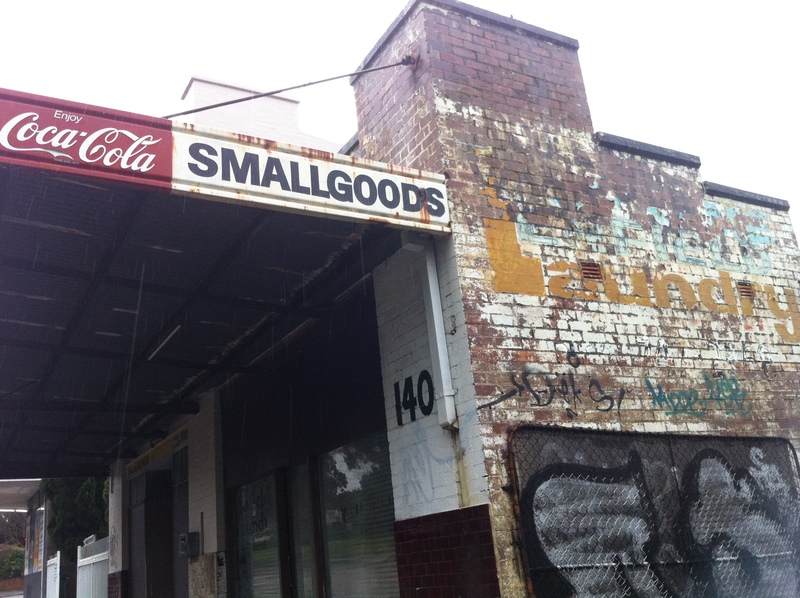 Run by an old man and his two sons, the ‘General Store & Deli’ provided basic needs to a growing young suburb. Along the way, we’ll hear from those who knew him best: his loyal customers. Where to start with a place like Con’s? Do we talk about the price gouging? Corner shops like this tend to jack prices up past the point of no return on investment, but Con, an early pioneer of the $4 price point for a bottle of Coke, turned it into an art. Red frogs that jumped from 5c each to a whopping 20c within five years. $4 Cokes when the local high school had them for $1.50. Cool, refreshing Calippos priced out of reach on a hot summer’s day. Bread that got more expensive as afternoon turned to evening, when the desperate would stop in on their way home from work. Or we could talk about the Con’s experience, the service that made the place a local legend. Taunting schoolkids. Turning away sales of less than $1. Not turning on the Street Fighter machine when asked. Never knowing if it would be Con, or Daddy Con, or Brother Con behind the counter. The loud TV in the corner blaring foreign soap operas at all hours of the day. “Funny” point of sale banter suggesting leaving the change from a $20 for a bottle of milk as a “tip”. Perhaps the joke was on him: there was never much leftover. “My mum was always really pissed at his prices. Con’s mantra of justification was something like ‘it is what it is'”. On the other hand, we could talk about how many a desperate family had milk on their cereal because of Con’s, how too many late night Sega marathons were fuelled by Con’s Cheezels and Pepsi. How a chocolate bar after school could brighten a kid’s day, all because Con and co decided to dive into the retail world right here. We could talk about the early days before Con’s arrival, when the shop was run by “Aussies”, as if Con’s citizenship was somehow invalid because he had an accent. About the strip’s salon wars, when disgruntled hairdressers at the neighbouring Con-owned salon jumped ship and started their own business on the end of the row, beyond the reach of property tycoon Con. We could talk about this…except we already have. We could talk about the no-nonsense appearance of the shop. 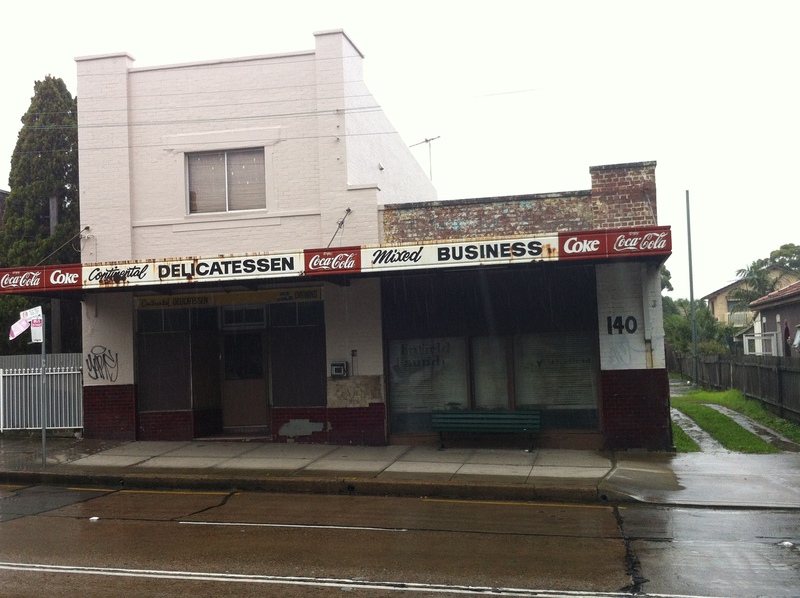 Many corner shops or mixed businesses are adorned with logos such as Streets Ice Cream or Coca-Cola, tacit admissions that this is an authorised dealer for those conglomerates. Con, beholden to no one but the almighty dollar, had minimal accoutrements. He was a lone wolf. Or we could talk about the later years, when everyone had moved away, yet Con remained the constant, unsold lolly teeth laughing in the afternoon light long after school had ended for good. Or finally, the day when it wasn’t Con, or Daddy Con, or even Brother Con behind the counter, but an Asian couple. The day Con gave up. That day, Gatorades were $6 a bottle. The new owner’s tribute to Con, I assume, but it just wasn’t the same without him. Now even the new owners are old, and gone. So ultimately, all that’s really left to talk about is an empty building. Where to start? Yes, I know it’s another laundry, but shops like these need their due. Besides, this one put more effort into its appearance than did the last one, so its failure and eventual closure is that much more tragic. Going by the font it’d have to be 60s-70s, and it seems to have had a seven digit phone number so it lasted awhile. Even more interesting is that underneath the colourful Enfield Laundry paint job, you can see that the site was once a produce and firewood store. 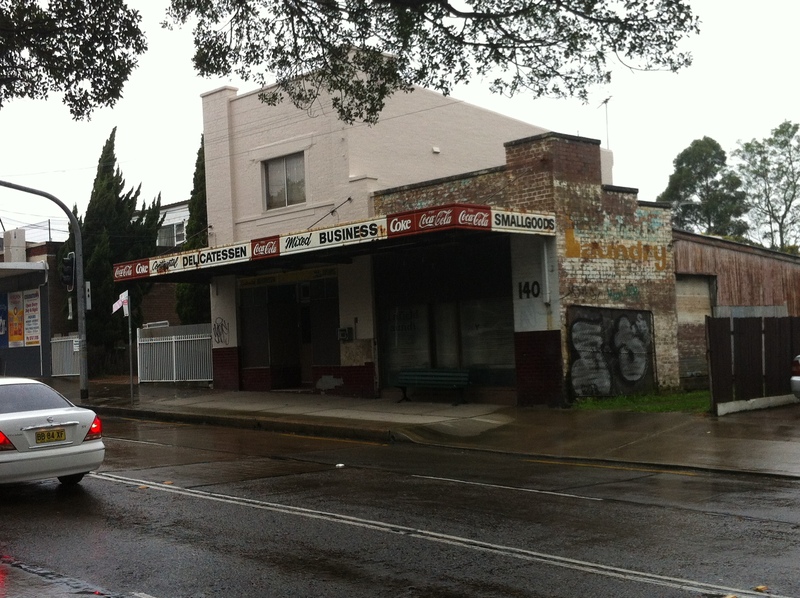 The Strathfield Council seems to have given up hope that the shop will ever be used again, and has put this bench across the door as a barricade. Presumably, this took place after council gave every single household in the vicinity their own washing machine. I love that ‘ice cold’ font. It’s so effective. I can get a strong visual sense of just how ice cold those drinks will be, and how refreshing that temperature would be to me on a hot summer’s day. 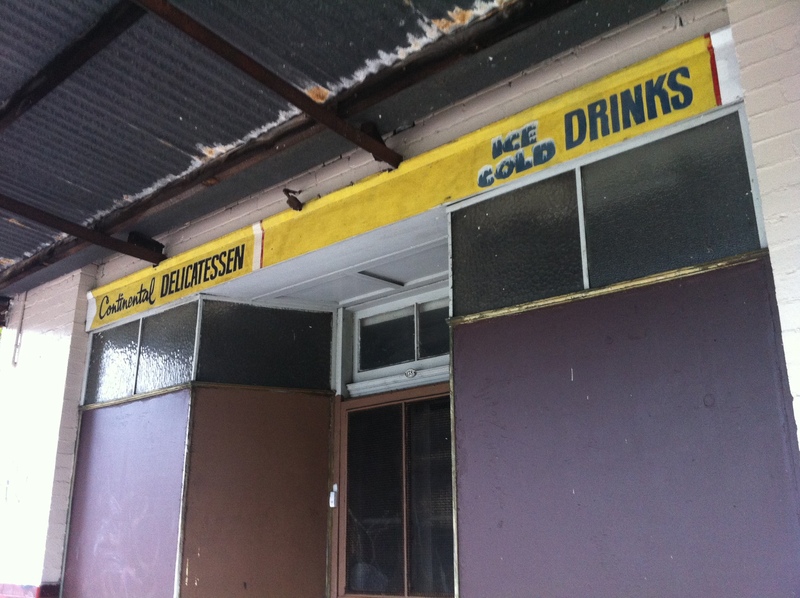 But you have to consider, the logic of the ice cold drinks font dictates that that fancy font for ‘continental’ was intended by the designer to be somehow indicative of the continental experience. Strangely, it works. Deli meat seems so much more worldly when it’s preceded by that font. It appears that what happened here is during the mixed business boom of the late 80s-early 90s, what was once a sole deli saw in the ailing laundromat an opportunity to branch out, and seized it. The laundry was absorbed and the deli offered a literal mixed business experience to the people of Enfield. It probably even had a Street Fighter II machine. But when the boom died and Burwood Westfield was renovated, the only customers were those getting off the bus of an afternoon, and you can’t pay the rent with profits from a few ice cold cans and packets of chips. 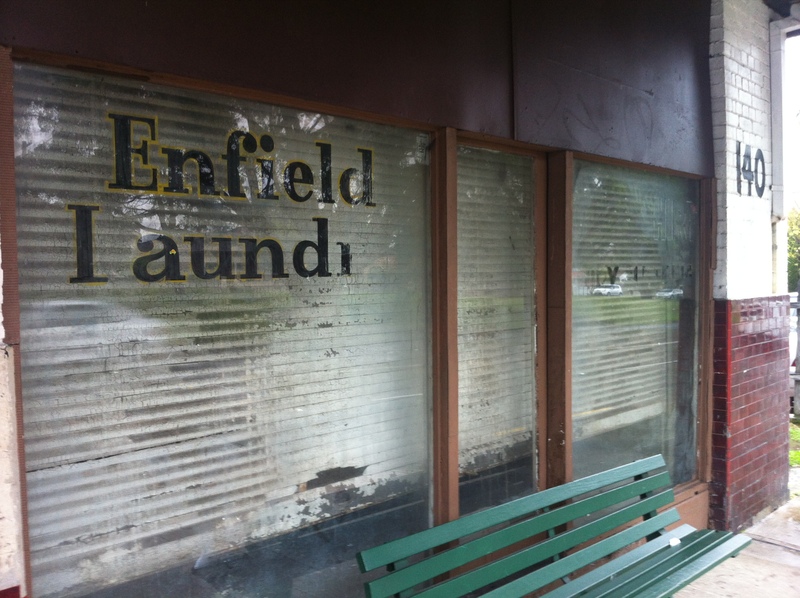 Strange that they didn’t remove the Enfield Laundry sign on the front window, though.